Summary: Increasing fish consumption could help to lower the risk of developing Parkinson’s and other neurodegenerative diseases, researchers report. The study reveals the protein parvalbumin can help to prevent the formation of alpha synuclein. Source: Chalmers University of Technology. The link between higher consumption of fish and better long-term health for the brain has been long established. There is correlation between certain diets and decreased rates of Parkinson’s disease – as well as other neurodegenerative conditions. “Among those who follow a Mediterranean diet, with more fish, one sees lower rates of Parkinson’s and Alzheimer’s,” says Tony Werner, a PhD student in the Department of Biology and Biological Engineering, and lead researcher on the study. This has also been observed in Japan, where seafood forms a central part of the diet. The team is careful to note that no definite links can be established at this point, however. Proteins are long chains of amino acids that fold into specific structures to carry out their function. But sometimes, proteins can fold incorrectly, and get tangled up with other proteins, a process known as aggregation. As these misfolded proteins aggregate together, they create long fibrous structures known as amyloids. Amyloids are not necessarily a bad thing, but can be responsible for various diseases. Some of them can interfere with neurons in the brain, killing those cells, and causing a variety of neurodegenerative conditions. Nathalie Scheers had looked at parvalbumin before in another context. The link between higher consumption of fish and better long-term health for the brain has been long established.NeuroscienceNews.com image is in the public domain. She joined forces with Pernilla Wittung-Stafshede, and together they took the idea forward. “Because Nathalie had previously shown that parvalbumin passes into the body of the person eating fish, it made sense to study its interaction with human proteins. We already knew that they can meet in the gut, the blood, or the brain,” explains Pernilla Wittung-Stafshede. Original Research: Open access research for “Abundant fish protein inhibits α-synuclein amyloid formation” by Tony Werner, Ranjeet Kumar, Istvan Horvath, Nathalie Scheers & Pernilla Wittung-Stafshede in Scientific Reports. Published April 3 2018. 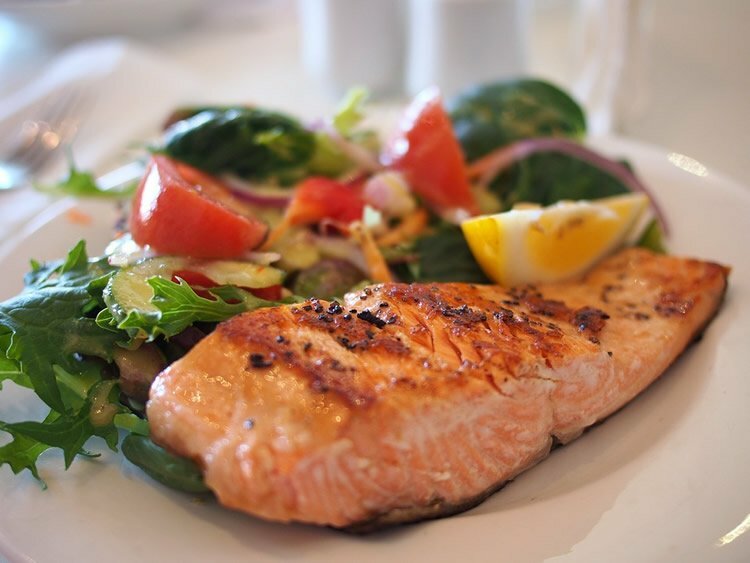 Chalmers University of Technology “Eating More Fish Could Prevent Parkinson’s.” NeuroscienceNews. NeuroscienceNews, 23 April 2018. Chalmers University of Technology “Eating More Fish Could Prevent Parkinson’s.” http://neurosciencenews.com/parkinsons-fish-8861/ (accessed April 23, 2018). The most common allergen in fish, the highly-abundant protein β-parvalbumin, forms amyloid structures as a way to avoid gastrointestinal degradation and transit to the blood. In humans, the same amyloid structures are mostly associated with neurodegenerative disorders such as Alzheimer’s and Parkinson’s. We here assessed a putative connection between these amyloids using recombinant Atlantic cod β-parvalbumin and the key amyloidogenic protein in Parkinson’s disease, α-synuclein. Using a set of in vitro biophysical methods, we discovered that β-parvalbumin readily inhibits amyloid formation of α-synuclein. The underlying mechanism was found to involve α-synuclein binding to the surface of β-parvalbumin amyloid fibers. In addition to being a new amyloid inhibition mechanism, the data suggest that health benefits of fish may be explained in part by cross-reaction of β-parvalbumin with human amyloidogenic proteins. Feel free to share this Chalmers University of Technology.